Italy: We fight against the growth in poverty and insecurity! I believe in the need for poverty which provides wage-labourers and is the mother of overwork. Paul Lafargue "A Capitalist Prayer" in his "The Religion of Capitalism"
In Italy 15 million people, including 3 million children, live in poverty (figures from Caritas). More and more are the "working poor", those who, while still managing to sell their labour-power earn so little as to be in a state of poverty, a situation which is increasingly common, especially among young people. Italian workers increasingly resort to Caritas to meet their basic needs. From 2017 the Government will respond to these dramatic figures with Income Inclusion (REI): 400 euros a month placed under the control of job centres who – also buckling under the blows of reforms and cuts – have to ensure through blackmail and social humiliation that the person accepts work of any kind. Widespread poverty is the best way through which capital ensures the acceptance of worsening working conditions and promotes war between the local miserable and wretched poor against foreigners. The chaos caused by continuous reforms is not an anomaly, but has the deliberate function of eroding our conditions even further. Thanks to the Jobs Act of 2016 cases of dismissal for just cause have risen by a third, whilst permanent hiring fell to the same extent (figures from INPS). The new contracts "with increasing safeguards" are especially prevalent among the over 50s, already affected by the Fornero reform, but are scarce among young people. Fewer new contracts and increasing blackmail is the formula that sums up the results of the new law. The Jobs Act, as was widely expected, has reduced its effects in proportion to the reduction in money given away to companies which implemented the new contracts "with increasing safeguards". There are one and a half million workers who receive the voucher for 10 euro gross per hour, the rest is paid cash in hand, with the boss’s approval. Most of these workers have no other source of income. Vouchers are a genuine form of legalisation of illegal work, mainly in the South, where this is more prevalent . The voucher is often accompanied by, as well as undeclared work, other types of temporary employment such as the fixed-term contract, part-time work, and VAT registration. The maximum is 7000 euros a year. There is no form of income support in the event of illness or unemployment. Initiated by the Prodi government in 2008, this type of contract is becoming increasingly prevalent; the most common place where bosses buy the voucher is the tobacconist. Since 2011 the issue of vouchers has increased 760 percent, especially in the areas where exploitation is more intense and unstable such as catering, commerce, and agriculture, but they are also on the rise in local government. Every year the average age of these workers continues to fall, many are young girls. For most of them the voucher is the only source of a legal income and their average annual wage ... does not exceed 500 euros. A new form that is rapidly spreading in the exploitation of the young labour force is the new training course, entirely funded from public funds by Youth Guarantee. Young workers at the end of the course of study are put to work, in most cases without any training element, alongside the workers at the company, for a salary ranging from 300 to 600 euros per month. The sectors most affected are services, catering, and construction. This form of juvenile exploitation is mainly being established in the South. Another format being implemented is that of the training course for school-age children with 400 hours of training required for technical schools and 200 for high schools. The future workforce is being prepared from an early age for a world of precarious, poorly trained and lower paid work. The younger generation are now used to a world of work characterised by poverty wages and conditions where there are no limits to their increased exploitation. This brief overview has shown a tendency that we all know from direct experience if younger, or indirectly, if not so young and more fortunate. Poverty and unemployment are spreading with the progress of this unending crisis. It is obvious that the policies implemented by Governments are ineffective for workers, but highly efficient for the employers. At this stage of profound impoverishment and political disorientation, what does the more or less extreme Left say on its placards? A "redistribution of income" which should hinge on a guaranteed wage (wages, income) for all regardless of work or performance. Very nice, except that the demand is an illusion — that is, a pittance of an income will be given, probably, as a form of incentive to increasing exploitation, in order to keep the working class in poverty, thus goading it to accept anything, other than the miserable sum provided by the State. If we imagine a decent wage for everyone and hence a new dissemination and distribution of wealth, we have understood zilch about what the crisis and capitalism mean, therefore it is important that Communists know what they are talking about. Communists do not presume to suggest how to get capitalism out of its crisis and know that any policy, any reform conducted within this social order has only one purpose: increase profit for the few by taking more and more wealth from the many. This is capitalism, its contradictions are on a planetary scale. If the economic growth of the 60’s had allowed some redistribution of wealth and if in the 80’s the little welfare distributed was at the price of ever more colossal debt, no intervention will lead to a general improvement of our living and working conditions in the global crisis of the 21st century if this falls short of the overthrowing of the system itself. So, can nothing be done? On the contrary! Everything has to be done, starting from the acknowledgement of this reality. If we are aware that the objective, the ultimate goal, is the overcoming of capitalism, then the crap about minimum income loses all sense and interest; it is more important to bring to every struggle and episode of resistance a vision that sees the need to advance political awareness. 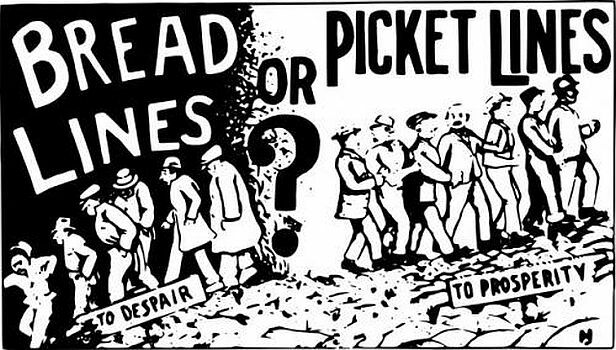 Tackling the immediate problems by highlighting what they have in common with other sectors, with other workers, denouncing any illusion or democratic reform showing that no democratic force (trade unions, left-wing organisations) in search of a compromise actually safeguards the interests of workers, rather they prepare capitulation, acceptance of sacrifices. It is amongst the working class youth that one can and should begin; it is primarily – though not only, of course – the young people exploited in the 21st century that we address and towards whom we channel our energies. Today more than ever, just when it appears obliterated, we need revolutionary political consciousness, and you must make it your own. The world is ours, we must learn to take it, a new social order based on economic and social equality is waiting for us. Istituto Nazionale della Previdenza Sociale (National Institute for Social Provision) which includes pensions and benefits. Started by the Monti Government in 2011 as part of his “Save Italy” programme it passed into law in 2012. It is a complicated law but basically like a similar process in the UK raises the number of years you have to work and the age you have to reach for retirement. The vouchers can be cashed at a post office but at a 75% of their face value. The 25% deducted goes to the government as a tax. The system allows illegal or unregistered workers' to be employed while ensuring that a part of their wages are taxed.